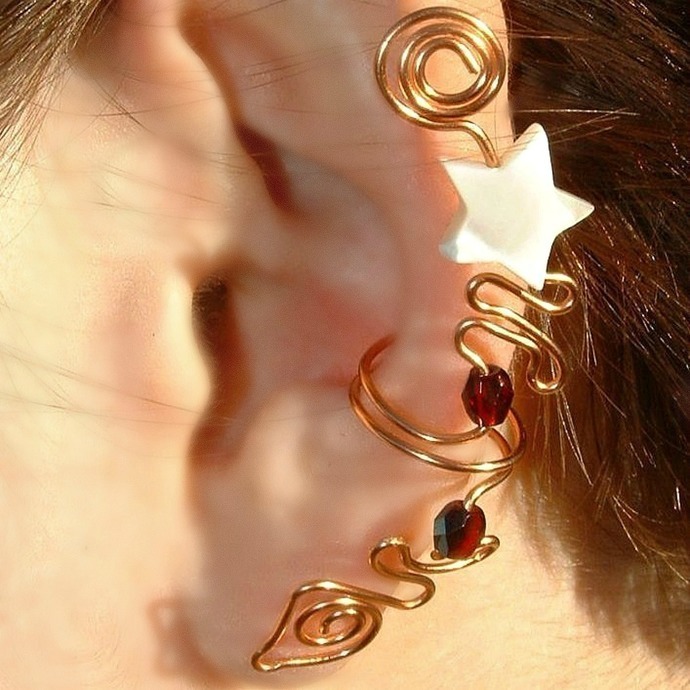 Ear climber ear cuff requires no piercing, features a Mother of Pearl Star, ruby red accent beads and is made of non-tarnish copper for balance and focus. One of my most popular styles! 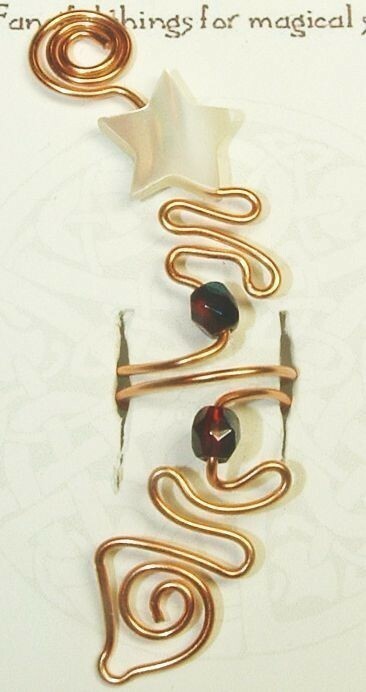 Also available with Silver or Gold colored wire.